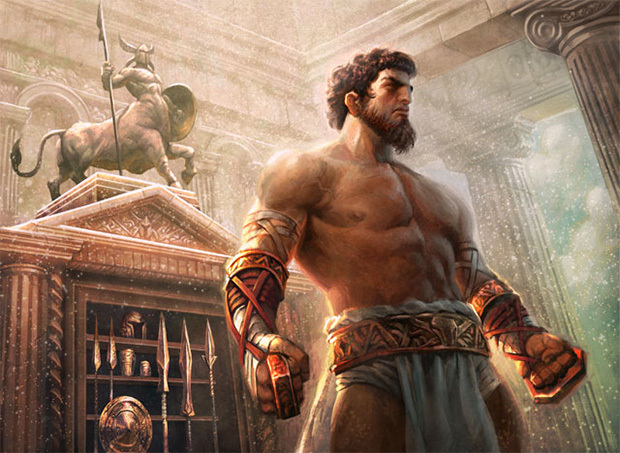 Today we unveiled the complete Born of the Gods set over on the Card Image Gallery, so go check it out and see what all the set has to offer. 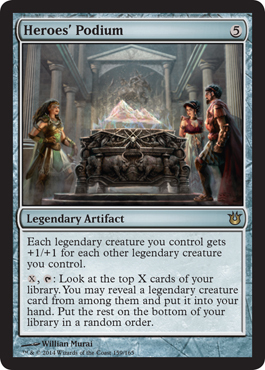 Below, I am going to take a look at four pieces done by one artist for the set. 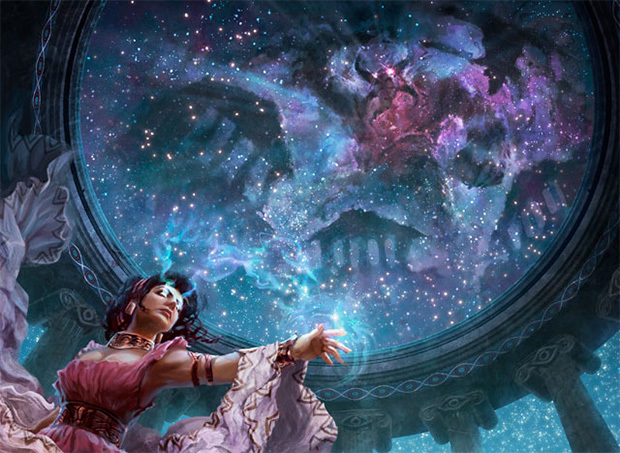 When I asked Bonnie, the graphic artist who helps with DailyMTG, what artist she thought I should do an artist focus on for the Arcana she suggested Willian Murai. 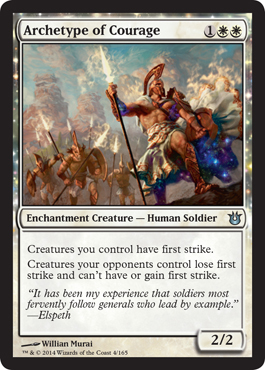 First up, we have his depiction of an enchanted commander of the Akroan army. 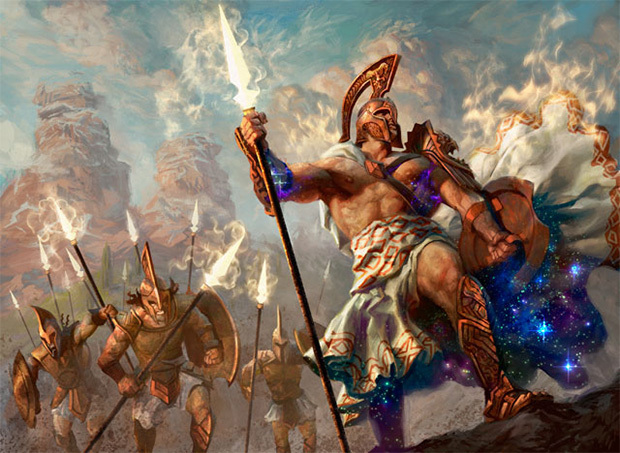 He stands in front of his army wearing a mantle of white fire and has a spear that burns with the same. 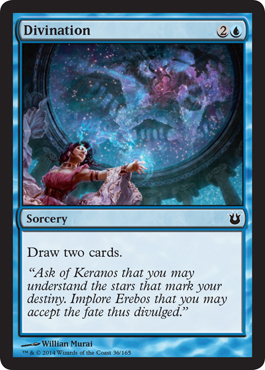 I love how the art ties to the mechanics of the card. For Divination, he depicts Cymede (Queen of the Akros) in a temple dedicated to Keranos. 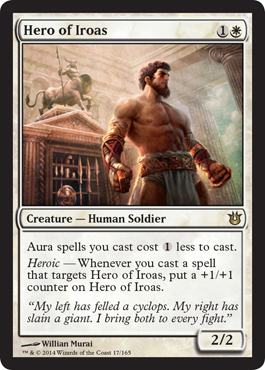 Here is a male warrior priest of Iraos, who is the god of combat and victory. 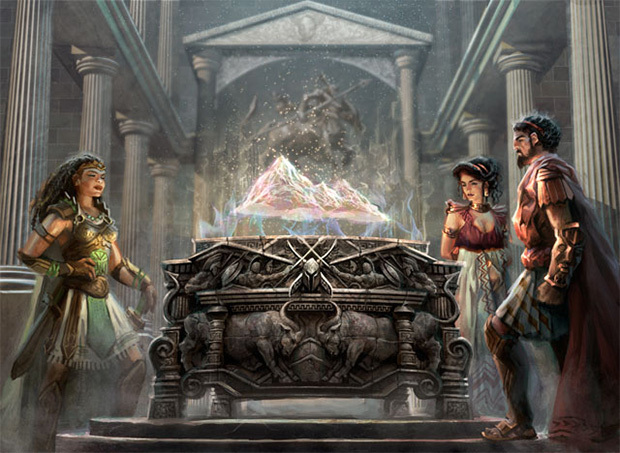 And lastly, he did the art for the Heroes' Podium, which depicts Anax, Cymede, and Anthousa gathered together.